Seventy-five percent of U.S. men and women have credit scores under 700. Your credit score may ultimately affect how much of your home you choose to finance and/or your mortgage type. The very first step is finding out exactly what it is. It is also important to determine your spouse’s credit score, if applicable. Remember: “When applying jointly for a mortgage, lenders will pull your credit scores from each of the three major credit reporting agencies: Experian, Equifax and TransUnion,” according to Fox News. “They’ll then take the middle score of each set and use the lower of the two to help determine your mortgage interest rate.” This isn’t necessarily a bad thing, but it is important to understand the likely process and how it works before buying your home and choosing a particular loan type. While most buyers finance 90 to 95% of their homes (select companies will even let you finance up to 97%! ), many don’t realize you don’t have to finance the majority of your home. 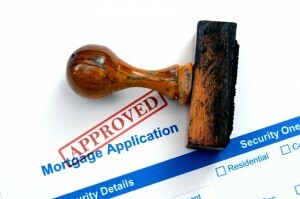 One of the simplest ways to get a better rate on your home loan is simply to put down a higher down payment. For example, putting 20% or more down will generally eliminate private mortgage insurance (PMI) fees. If you pay a greater amount upfront, it reduces financial risk for the lender — ultimately benefiting you by lowering your interest rate. Your first home (and your first mortgage!) is a big deal. Make an intelligent and informed decision. Start the process with a close look at your credit score, and save as much as possible for a down payment.